The compiler has been added to the program so that you can execute and check it for yourself, along with suitable examples and sample outputs. 1) If two matrices have same size then only we can subtract the two matrices. 2) Read row number “row”,column number “col” using scanner class method. 3) Insert elements at mat1[i][j] using two for loops with the structures for ( i=0;i <row;i++ ),for (j= 0 ; j<col;i++ ) , similarly insert elements at mat2[i][j].i indicates row number and j indicates column number. mat1[i][j] – mat2[i][j] and insert the result at res[i][j]. 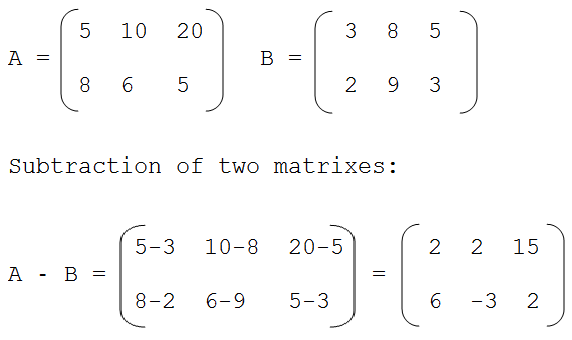 5) Print res matrix to display the subtraction of two matrices. 2) Similarly insert elements at mat2. while loop iterates until i<row. 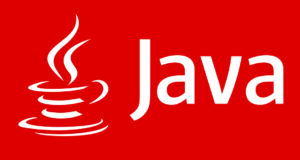 inner while loop iterates until j<col. subtract mat1[i][j] – mat2[i][j] and insert in to the matrix at res[i][j]. increase the j value by 1. 4) Print the two-dimensional array res to display the subtraction of two matrices.